The August 4-5 matches will be held at the Central Broward oval in Lauderhill, south Florida. 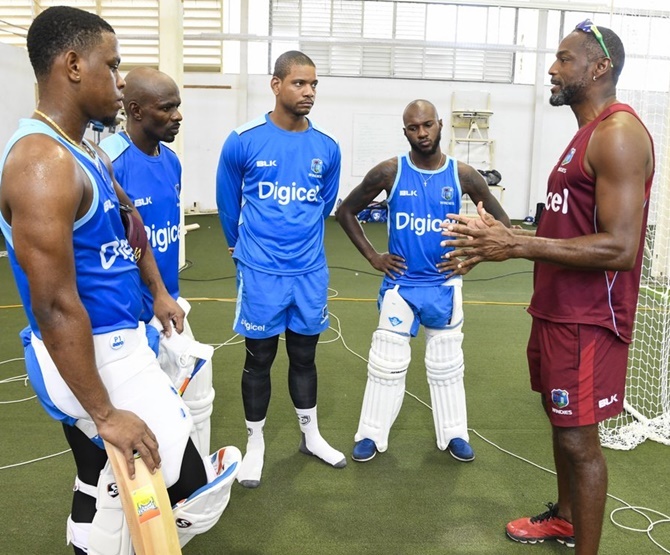 "Both matches are scheduled for the weekend and will be played under the lights," CWI chief executive Johnny Grave said. "Our intention is to work with ICC Americas members, USA Cricket & Cricket Canada in partnership to establish cricket as a popular sport from North to South America." 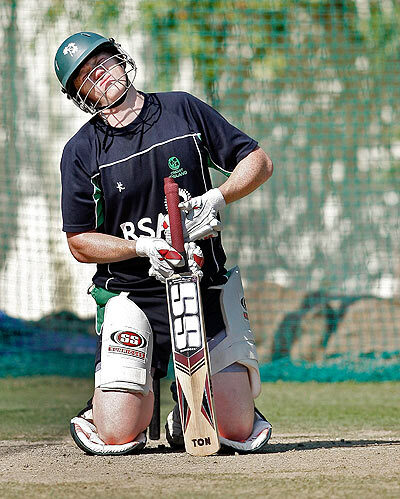 Ireland batsman Kevin O'Brien's brilliant 158 during his side's debut Test against Pakistan has placed him at the 66th spot in the latest ICC Test Player Rankings. The 34-year-old all-rounder produced a knock of 40 in the first innings and a valiant 118 in the second to help Ireland fight back after they were asked to follow-on, eventually losing their maiden Test match by five wickets against Pakistan at Malahide in Dublin. As a result, he is now standing with a total of 440 points in the ICC Test Player Rankings released on Wednesday. Opener Charles Bannerman of Australia has the best rating of 447 points in a team's debut Test, scoring 165 not out and four in the first ever cricket Test played between Australia and England in Melbourne in March 1877. Aminul Islam of Bangladesh (432 in 2001) and David Houghton of Zimbabwe (431 in 1992) are third and fourth in the list. Fast bowler Tim Murtagh has also made a fine start, entering in 67th position among bowlers after a match haul of six for 100, while all-rounder Stuart Thompson has made notable starts in both lists, ranked 125th among batsmen and 88th among bowlers. As for Pakistan's debutants, all-rounder Faheem Ashraf and left-handed opener Imam-Ul-Haq entered the rankings at 81st and 113th positions, respectively, in the list for batsmen. Faheem scored 83 in the first innings at Malahide while Imam had scores of seven and 74 not out. Pace bowlers Mohammad Abbas and Mohammad Amir have moved up the ladder with Abbas gaining eight slots to reach a career-best 29th position and Amir advancing two places to 37th position. Abbas finished with nine for 110 in the match while Amir took five for 72. In the ICC Test Team Rankings, Pakistan have gained one point after victory in the one-off Test. They remain in seventh position with 87 points while Ireland, who will get a proper ranking only after eight Test matches, have yet to take their first points.